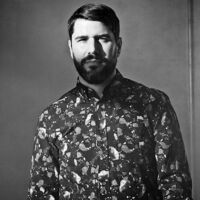 British DJ and producer Will Holland (aka Quantic) played guitar in various rock bands as a teenager, but it was his subsequent switch to house and broken beat that helped launch his musical career, especially after the single "We Got Soul" arrived in 2000. (Quantic is also part of Quantic Soul Orchestra, as well as the soul-folk-dance duo the Limp Twins.) In 2001, Quantic's full-length debut, The 5th Exotic, was released by the Tru Thoughts label, followed one year later by Apricot Morning. After briefly pausing in 2003 to record QSO's Stampede (for which he played organ, bass, guitar, and saxophone, among other instruments) and the Limp Twins' Tales from Beyond the Groove, Holland returned to his solo efforts with 2004's Mishaps Happening. Quantic Soul Orchestra's Pushin On was issued one year later, and 2006 proved to be particularly busy for the prolific DJ, as he released a compilation (One Off's, Remixes and B Sides), a reissue of The 5th Exotic, and another new Quantic album, An Announcement to Answer. In 2008, he could be heard tinkering with a blend of dub and '70s Latin on Death of the Revolution, which also marked his first release under the Flowering Inferno moniker. Dog with a Rope from 2011 used the same moniker while the Quantic name returned in 2012 with Look Around the Corner, an album recorded with retro-soul singer Alice Russell. Two years later, Magnetica became Quantic's first solo album released in over seven years. Holland returned in 2016, once again under the moniker Flowering Inferno, releasing the album 1,000 Watts, which was a more direct foray into the traditional reggae sound. A collaboration with Columbian folk singer Nidia Gongora called Curao appeared in 2017.